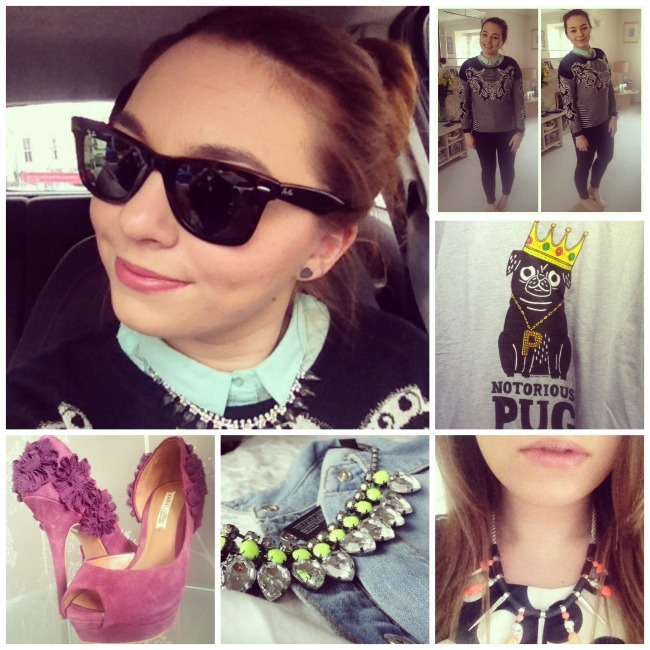 Great photos and love that Pug shirt! hahaha.. so cute! I love your new necklace!! i love the print of your sweater Ellie! Ahh the pug top! You look so gorgeous in the first pic! You're really rocking the raybans mrs, I got a pair about 4 years ago and they are still going strong they really are worth the investment. The shoes are gorgeous !! !